Yesterday, after posting a scrumptious new recipe beet and hemp granola, I warned you that you’d soon be seeing another recipe that made sneaky use of beets. Why? Because beets are delicious, filled with antioxidants, and in spite of that a lot of people have a slight or a strong aversion to them (Valerie, I’m a-talkin’ to you). I can see why: if you don’t cook them properly, beets can get slimy, mushy, or not get soft enough. The color can be foreign, and strange. So, just as I love to come up with fun ways to make my readers get comfy with kale, it’s now my mission to warm you all up to beets, one recipe at a time. While I was in NOLA recently, Chloe showed me a recent New York Times recipe for a beet and berry smoothie. I thought it looked fantastic, though of course I thought the suggestion of yogurt was unnecessary—glad they offered up coconut milk, too! I immediately thought I’d like to try the recipe at home, and yesterday, in the midst of biochem cramming, I finally did. If you think that beets are a odd smoothie ingredient, I promise you you’ll change your mind after you try this drink. 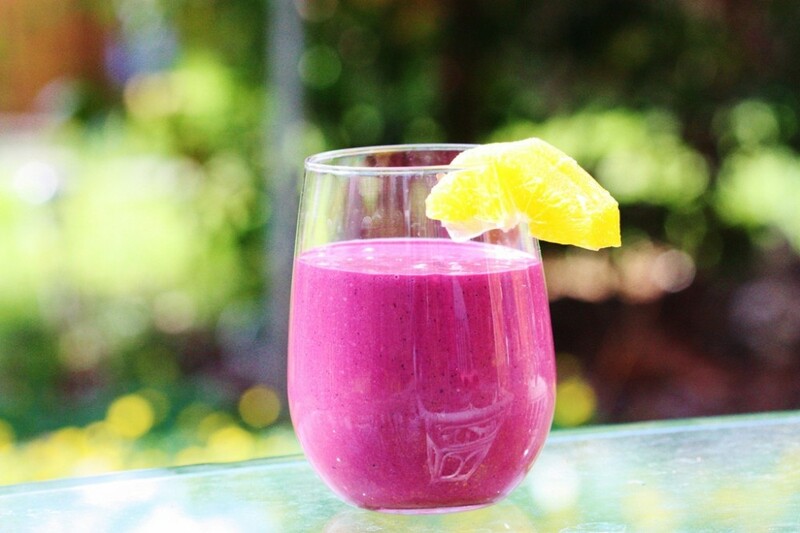 The sweetness of the beets blends perfectly with the tartness of the berries, and some fresh orange brings it all together (I opted to use whole orange rather than OJ, which is in the Times’ recipe). I also used homemade almond milk, which made it very creamy, but you can also use commercial almond milk and a tablespoon of hempseeds for the same kind of effect. You can also modify which berries you use based on taste, and substitute pineapple or mango for the orange. No matter what, you’ll be delighted with this refreshing and subtle concoction! 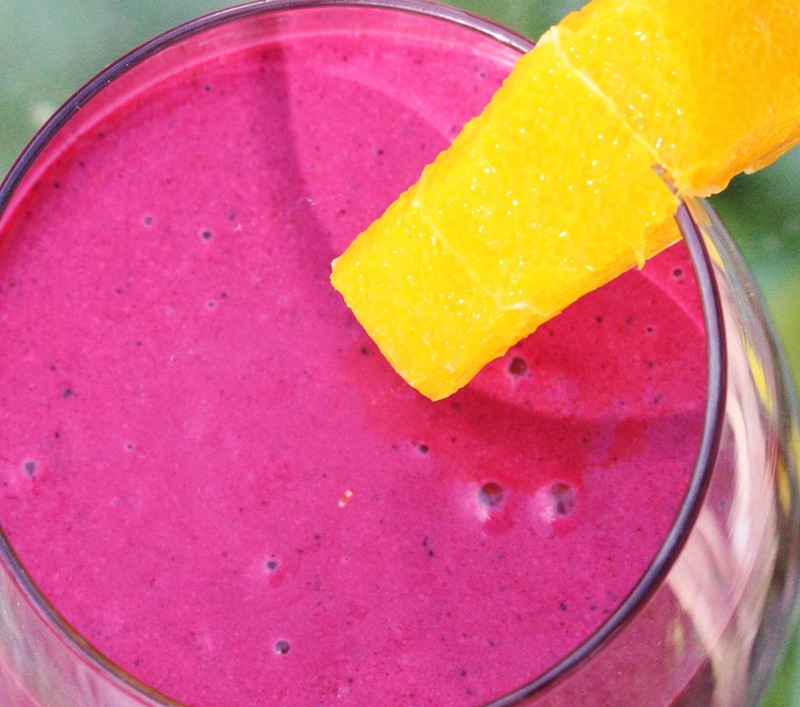 Blend all ingredients together, and serve with orange sections for color! Speaking of color, I think this drink goes beautifully with the new spring foliage in the backyard behind Hobbit House, don’t you? This is a wonderful transition recipe for springtime—it still features wintery produce in the beets and citrus, but tart berries are a prelude of May and June. And if you choose not to use frozen berries, it’ll be a warmer temperature—a good tip for those of you who haven’t quite gotten the unusually warm weather that we’ve been having in D.C.! Beet smoothies have been my new addiction. I did a beet-citrus one on Valentine’s day and added cinnamon, which I loved. 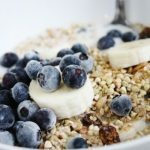 Will have to try it with blueberries next too! I’ve also roasted beets with bay leaves and cinnamon stick, which is also a fun flavor punch. That second to last pic is really cool. It’s amazing how much color we are getting and it’s only mid-March. 1.) Can fresh beets be frozen raw for later use in smoothies? 2.) do I simply wash the beets and leave the skin on or do I peel the beet? You should peel the beets – the skins are tough and tasteless. I wish I knew the answer to your first question. All my garden beets froze accidentally in the unseasonably cold weather, and I am wondering what to do to best use them! I have beets and berries and I am thinking this looks like a nice snack! Yummo! I love beeTs! This is so pretty!!! 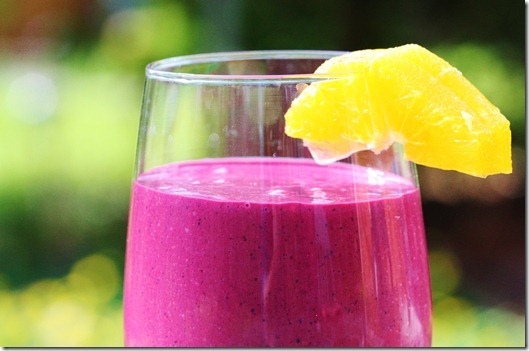 I love the color of the smoothie – it’s so brilliant! I haven’t tried preparing beets on my own but I do like eating them when I get salads at restaurants, so I’m excited to start incorporating them into my diet. Happy weekend too–gorgeous view of your springtime hobbit house–I’m on the road in Anchorage and the snow is over-head-high in many places! And great minds think alike–my last post featured a strawberry-beet smoothie! So glad that you’re enjoying the same. I am waiting for some warm spring and the flowers to start blooming in our p-patch. 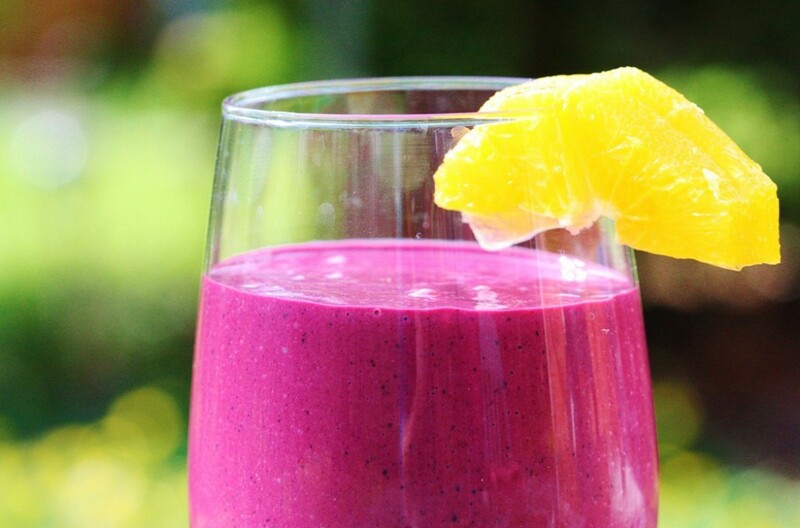 I love adding beet to berry smoothies.. that colors makes them look special! Thanks for idea of a beet smoothie!! we been juicing a lot beets lately, our bodies seem to be loving it. I just tried a smoothie using beets orange juice raspberries vanilla 1percent milk ice cubes apple and because I could taste the raw beets I added coffee ate coconut creamer. It turned out good. 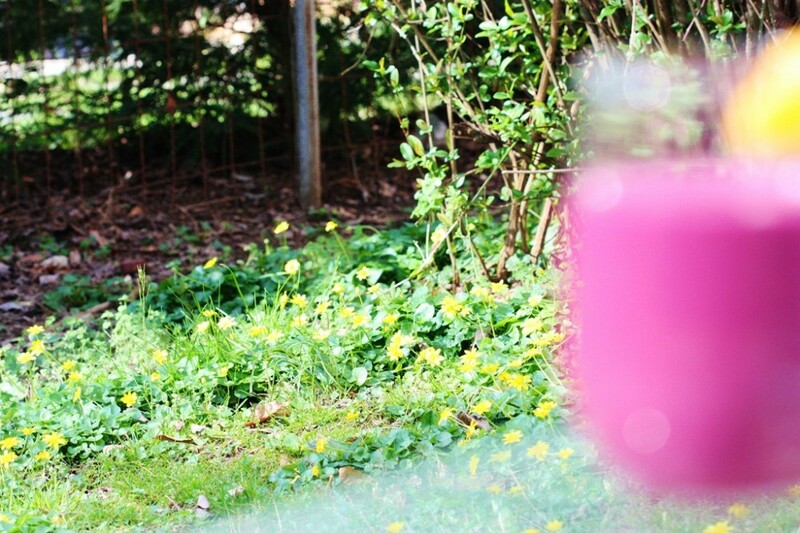 Ohhh I’m so happy to see all these beautiful pink foods on your blog! 🙂 This looks delicious…I will have to make one after my Greenmarket run! I love beets and I’m so happy to see you featuring them lately! I don’t have a high-speed blend but I’d like to keep the beets raw – how do you think the recipe would work if I juiced the beet and used that? Would it be too thin? I have made smoothies with beet juice before and it’s great (golden beets are a nice earthy option too). If you use frozen fruit you will still get the texture. However, I like the idea of using whole cooked beets for the added thickness they would add. 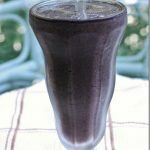 A while back, you wrote a post about the components of a salad and how to make a salad a proper meal…it would be fun to see a similar post about smoothies!! Today, you mentioned things that we could add to increase the fat or protein in this smoothie. It would be interesting to learn more about those add-ins and what’s good for a snack, breakfast, or dessert smoothie, etc. I bet smoothies can be a really easy way to accidentally quickly down a lot of calories and fat and they can probably turn out to be pretty unhealthy sometimes!! Great post, as always! Keep ’em coming, but keep up the studying too! I’m studying for my boards right now-it never ends-but medical education is definitely worth it :). This looks so delicious! I have a love affair with beets. Side note: I just had an interview with the Humane Society today for an internship this summer. I really hoping that I get it, come live in beautiful Washington, D.C. for two months, and possibly meet you!!!! And I was reading VegNews and saw your kale chips article/recipe. Congrats! 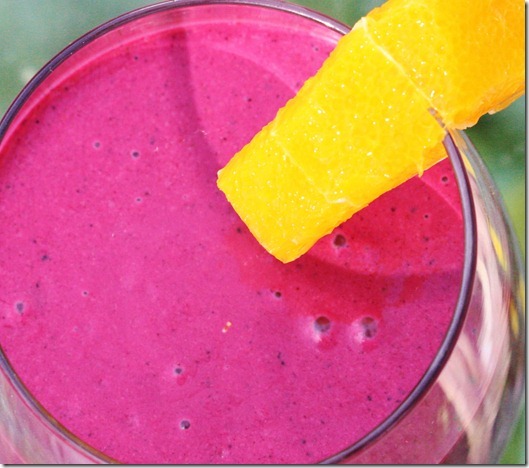 I’ve been having raw beets in my green smoothies (well no so green once the beets are in!) for a while, especially good with frozen cherries and raw cacao! This looks so fabulous and vibrant! The gorgeous pictures even make up for the absence of banana in the ingredients list. Also I find if you finely grate raw beets (using the hard cheese attachment of a food processer for example) they blend pretty well in a normal blender. A little labour intensive but worth it for those without a godly vita! Ohhhh, goody, inspiration for a new smoothie ingredient. Thanks Gena, you’re brilliant! I just tried this (had to sub a banana for the orange since I didn’t have any oranges) and it was really good! It’s so pretty too! I’ll definitely be making this again, I bet it will be delicious with the orange too. 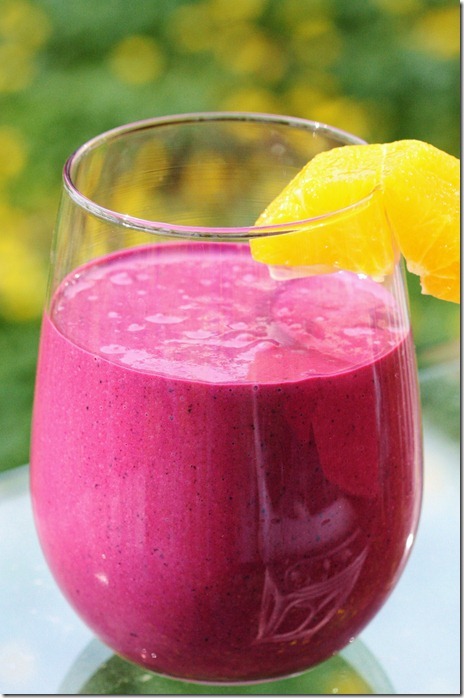 Beet juice with banana, blueberry, almond milk and hemp protein is a lovely combo too. okay, this is one of the few things i have not put in my smoothies! will do asap though because the color is so amazing! Beautiful! 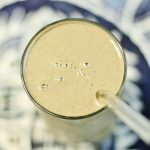 And it’s nice to see another banana-less smoothie recipe- as much as I love bananas, I like to mix things up, and they’re also not the cheapest over here unfortunately. Can’t wait to try this tomorrow! I adore beetroot everything and berry everything, but never thought to combine them in a smoothie… what a great idea! Can’t wait to try it. I love the color so much! 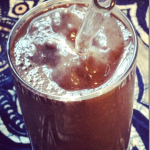 It sounds wonderful, and is a good shake up for my smoothie rut! I LOVE this smoothie! I made it today. I actually made it twice 😉 Its my new favorit smoothie 🙂 Thanks for sharing! Hi Gena. This looks fantastic! 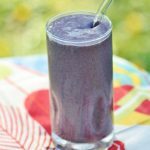 I am new to smoothies and been vegan for just a while now. Never heard of adding hempseed to commercial almond milk. What does it do to it? Thanks, and such a beautiful color! I dont’ have a blender, I use the magic bullet and it works well. I find if it’s too thick, I add more almond milk. The avocado adds a fat source as well as a nice way to thicken without yogurt. The overripe fruit seems to add enough sugar without needing a sweetener, I find. Thank you for your inspiration! Hi. I’d like to try beets in my smoothie. I’m thinking that I will try raw? Should the beets be skinned first? Thanks. Thank you! I just made my FIRST veggie smoothie with my new Vita-Mix after years of getting a green drink now and then at a health food store. I am so grateful to your blog, I had found the whole thing so daunting but it was easy and fun…and I feel great with raw. Just great. 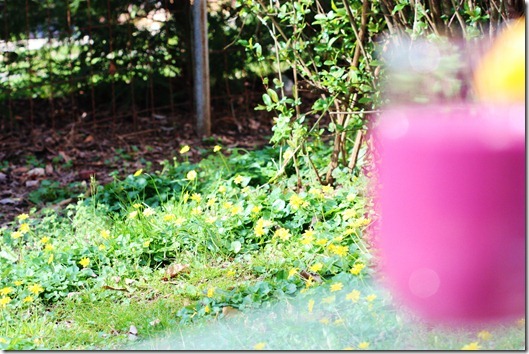 Wow – my first banana-free smoothie! I didn’t think I could make a suitably delicious smoothie without bananas, but this worked. Added three drops of stevia to sweeten, along with 1 cup frozen blueberries. Thank you for this! I used avocado instead of the milk called for and i cup water. Thank you for sharing this. Right on time!!! Yea beet smoothies are delicious! I make mine with vanilla, sweetener (agave usually) and soymilk added to either strawberries or blueberries. Blackberries are awesome also. I make beet smoothies daily, but on my last trip to grocery store, had to settle for chioggas, which will work fine and gold, instead of my standard red. Now I’ve read somewhere that the golden beets need to be skinned and the easiest way to do this is steam, when I make raw superfood smoothies. I realize they are quite a bit harder than the average beet, but is this true about needing to peel them? I’m really hoping I didn’t waste a bunch of $ in these. I have a vitamix. Can you offer any advice on this? Thank you!!! times, but being the pet of a 10 year old could make anyone grumpy. of discussion. For a long time, internet marketers have chosen to keep their distance from Facebook. of aji pepper and soft crackle of roasting guinea pig. storyline is rich in profound themes like duty, loyalty and redemption.